Giovanni Bonmartini-Fini was born in the United States but raised on the shores of Northern Italian Lake Garda, where Barone Fini wine is now made. 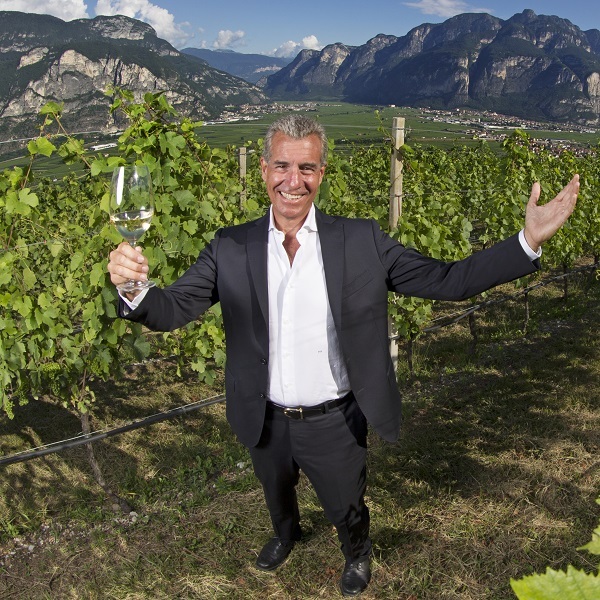 Giovanni leads the family wine business as Count Giovanni Bonmartini-Fini, President of Barone Fini Wines. After attending various schools in France, Italy, and Belgium, Giovanni elected to travel to the U.S. to attend Princeton University where he graduated with a degree in Molecular Biology. He has always been fascinated with science and technology and speaks French, Italian and English fluently. His love for all things Italian led him back to Italy after college to start an innovative toner cartridge business, which has 550 stores throughout Europe. Living in Rome, Italy, with his wife Scilla and their two sons, he produces Barone Fini wines, specializing in Pinot Grigio. He is passionate about wine and if it were up to him, he would prefer to spend all of his time in the vineyards. Giovanni travels throughout the U.S. to represent Barone Fini and his family’s 500+ years of winemaking heritage.